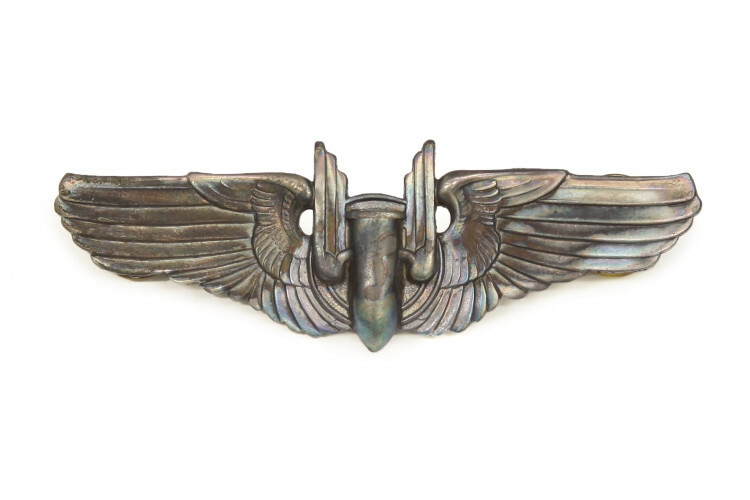 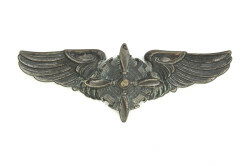 The winged bullet on this badge worn by Gerard Dufresne represents the training and hazardous duty of aerial gunners who served on bomber aircraft such as the B-17 and B-29. 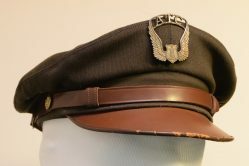 It was authorized for wear from WWII until 1953 when it was replaced by the aircrew member badge. 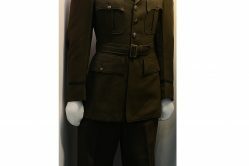 Gerard R. Dufresne entered the U.S. Army Air Force at Ft. Devens, Massachusetts, in 1944. 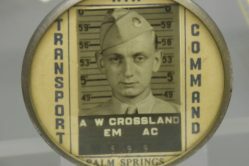 He attended armorer school at Lowry Field, Colorado, and flexible gunnery school at Tyndall Field, Florida. 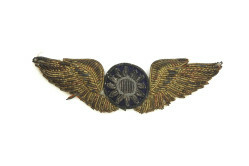 He was assigned to the 320th and 822nd Bombardment Squadrons.